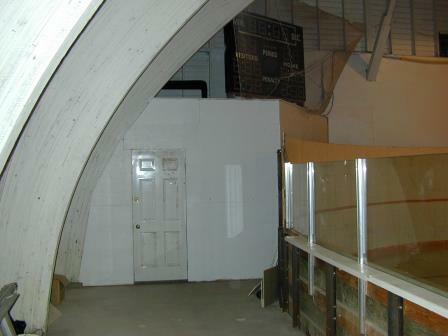 The small community of Miami, MB (population 435) centers around the hockey and curling arenas in winter. For many years the hockey arena relied on the cold weather of the Canadian prairies to make the ice, but after several warm winters in the mid 1990's, ice was only available for an average of 46 days per winter. People living in the community were concerned that if their children started playing hockey in other nearby communities, it would spell the slow decline of their community. They felt they needed artificial ice in their arena to ensure their children played at home. 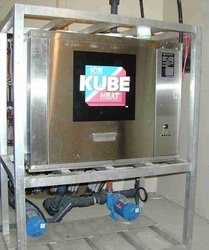 But energy cost as well as maintenance cost for a conventional artificial ice plant is costly, and with a small population, prohibitive. 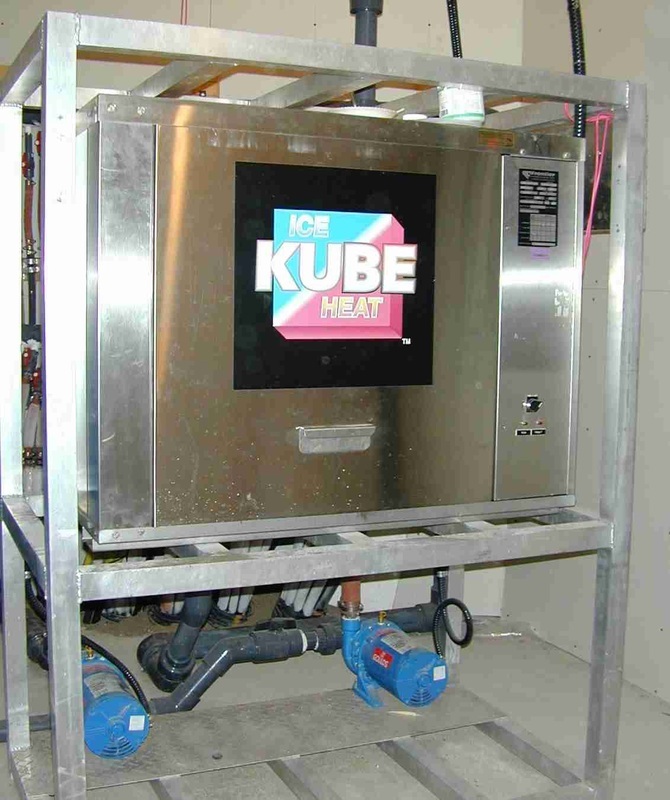 The solution was to use low temperature heat pumps to provide enough refrigeration capacity to speed up the ice making process once the weather got cold in fall, and to hold the ice during warm spells over the winter. 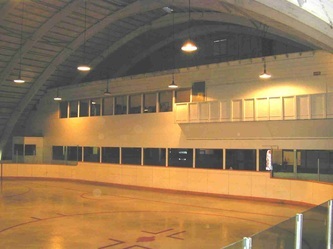 The holding capacity of the ice is augmented by building the ice rink floor much thicker than a conventional floor (2' thick or 600 mm) to provide additional thermal mass.